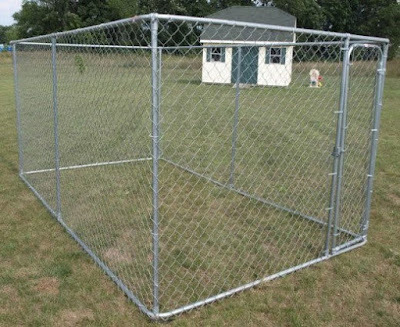 First of all, we need to see a proper area where the dog run can be built. Usually, people prefer to build the dog run in their backyards. Backyards give dogs an environment where they are less likely to be disturbed by traffic. 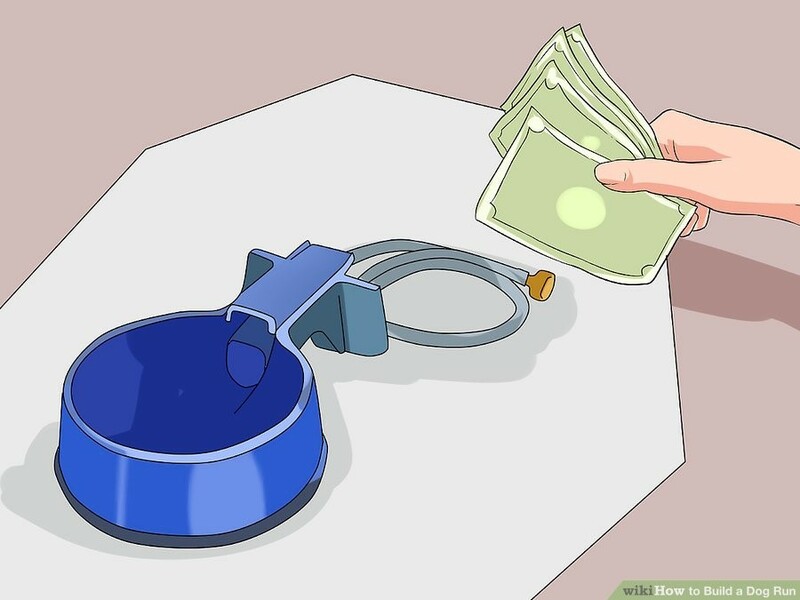 The builder must assure that the dog run should be constructed in an area where it is easily to see and monitor them from inside of your home. 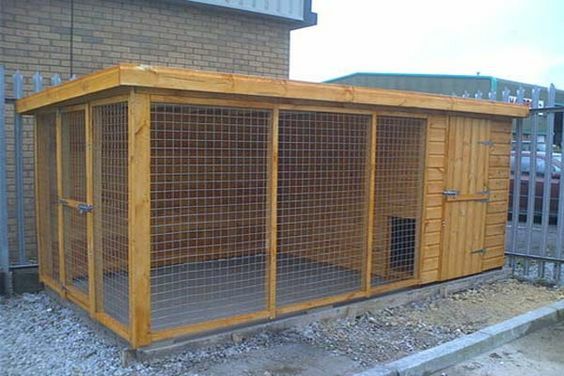 The area selected must be well-shaded to keep your pet cool during the summer months. Make sure there are no poisonous plants in the surrounding. Dog runs do not need to be of big sizes you can have a dog run according to your need. However, a dog run must at least be of 4 feet by 8 feet. 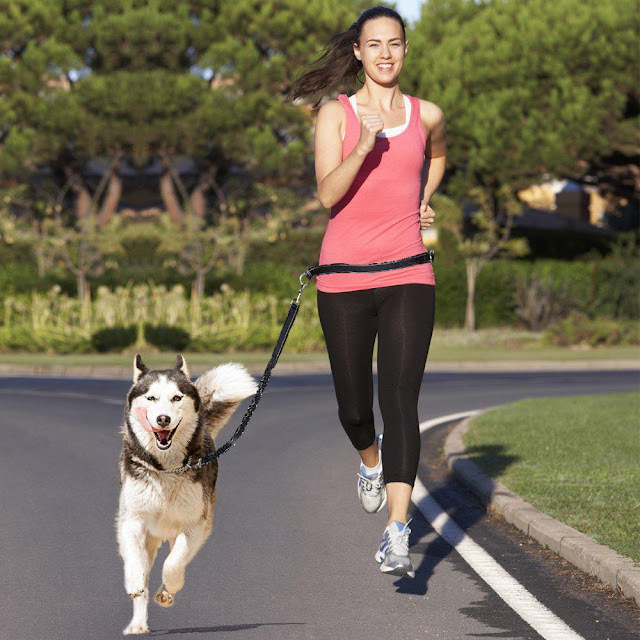 This lets most dogs to move a little and get a little exercise too. 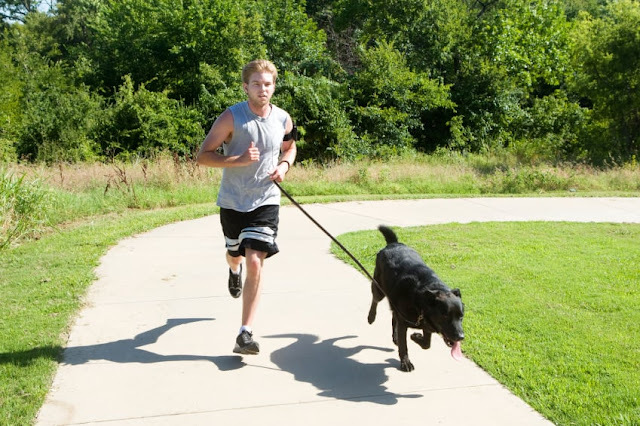 Dog runs can be long or square. Longer lets your pet run and move freely hence choose a shape based on what works best with your yard. 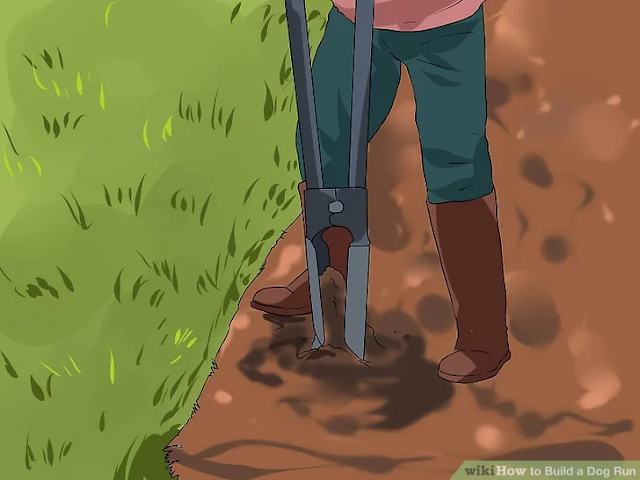 Using a garden tiller or rake remove the grass and loosen the dirt on the ground. Equivalent the pad to a depth of up to six inches. Just so you know that in most cases 3-4 inches satisfactory, go for six if you plan to pour concrete. 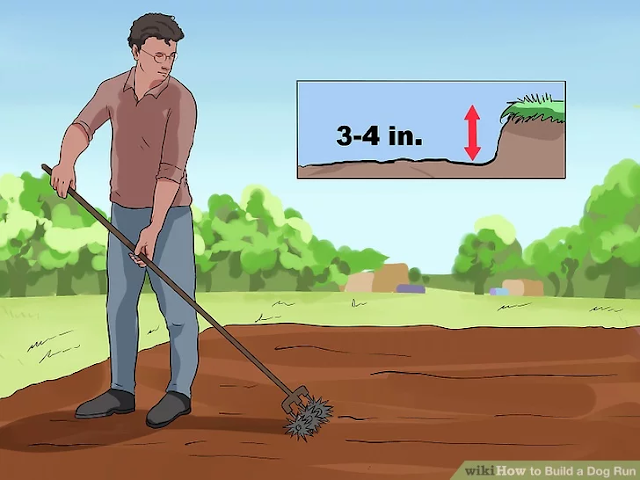 Make sure that before you dig to check for any utility lines that might be in the way. Now it’s time dig a hole one to two feet deep. The whole must be twice as wide as the post that you will be using for your fence. Start with the corners and make post at even distances along the sides. Lastly leave some space between the hole that was dug out for the floor and the fence post holes. For laying floor decide the material for flooring. 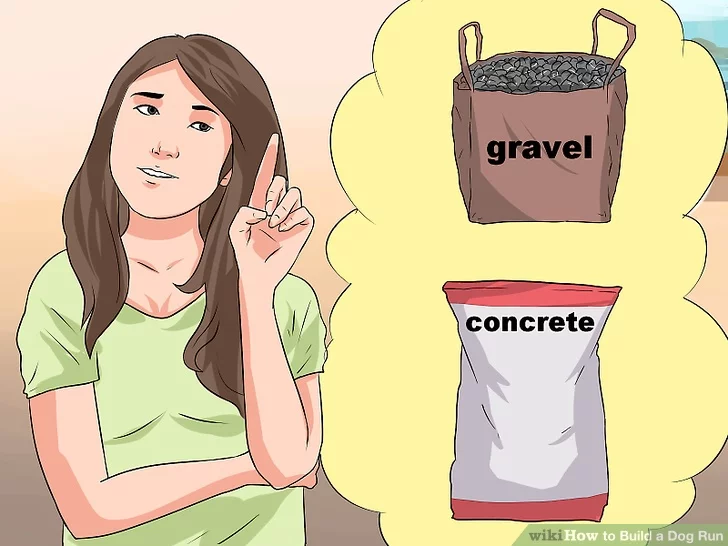 Construct the floor to create a good dog run. This can be done using materials like mulch or gravel. Flooring systems are interlocking panels or grids that are raised off the ground. They allow a nice surface for pets to walk on. The floor can be covered with artificial grass. 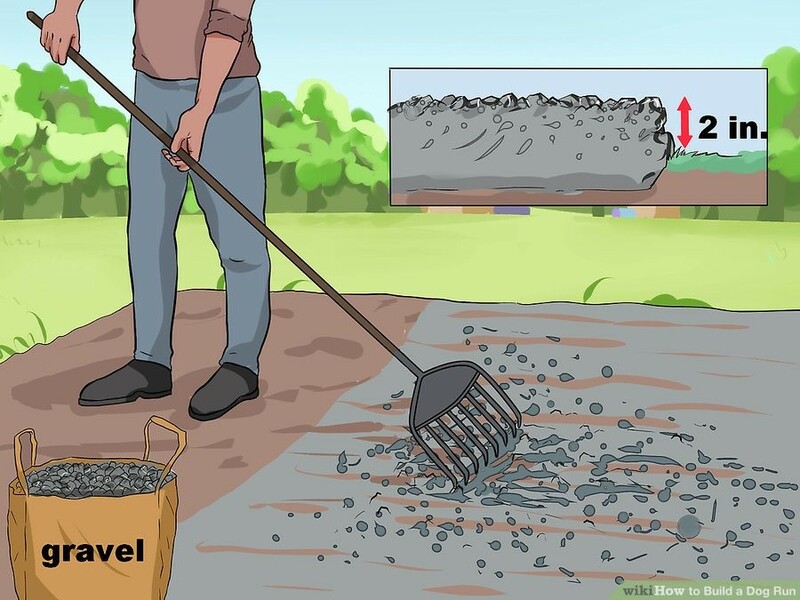 To fill out area use a rake or shovel to evenly spread the mulch or gravel dog run. Just keep adding until it comes about 2 inches above the ground. It is wise to use boards or small plastic landscaping borders to keep the material in the desired area. In laying process using concrete base is a good option too. Concrete base can be done by spraying the dugout area with water. First, select the material you want for your run. Chain link, wooden posts, and cattle fencing are among good options. Chain links can be ordered and also painted while the other items make the area look more attractive. 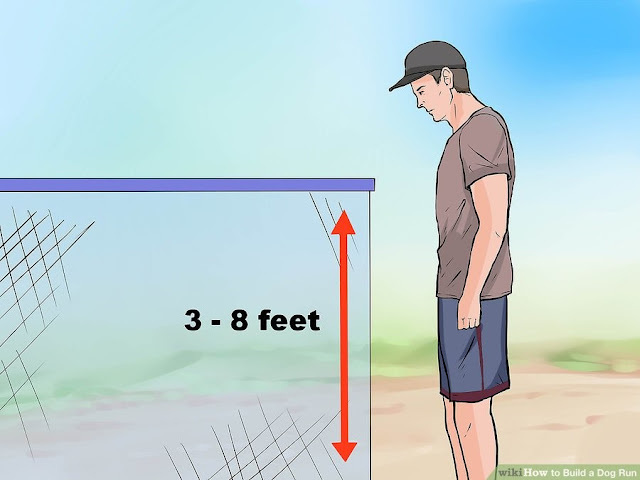 The builder must determine the height of the fence. 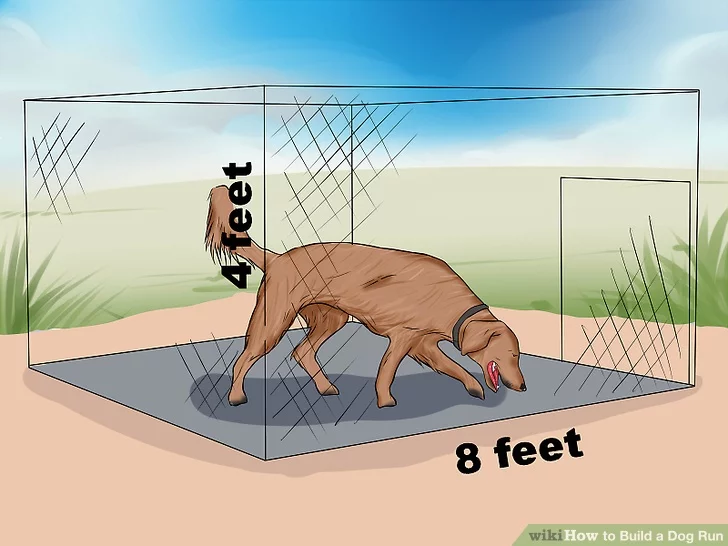 The height must be at least 3-8 feet depending on the size of your dog. Let someone hold the post for you so that it is centered in the hole. 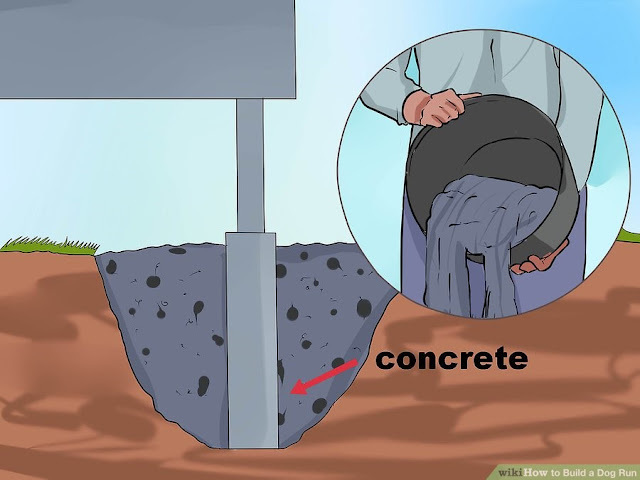 Make sure the pole is straight in the hole and adjust it before it dries. Let it dry completely before proceeding. Using the manufacturer instructions attach the particular fencing. If you want to attach chain link with fencing then begin at one corner and attach the top and bottom of the fencing to the post. Using the pliers to bend the metal fence tie and attach them to the fence post and a link in the fence. 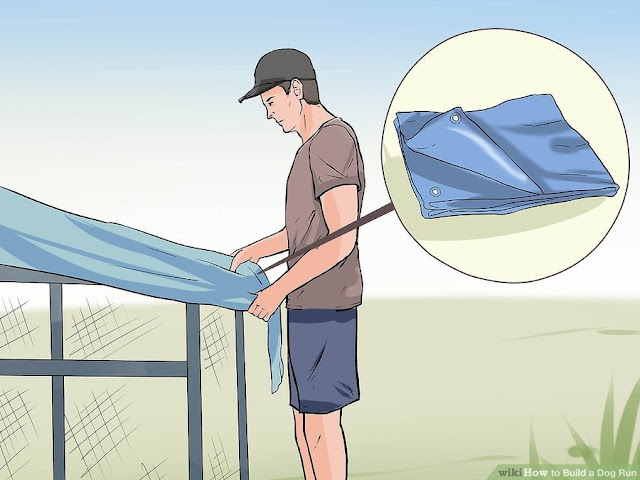 Stretch the fencing to the next post. 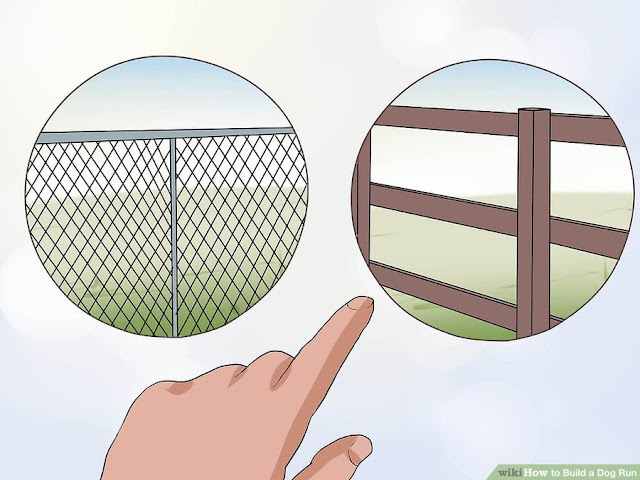 Cattle fencing can be done by making a rectangular wooden frame for each side of the fencing. The place the fencing between the wooden frames and nail the frames together. 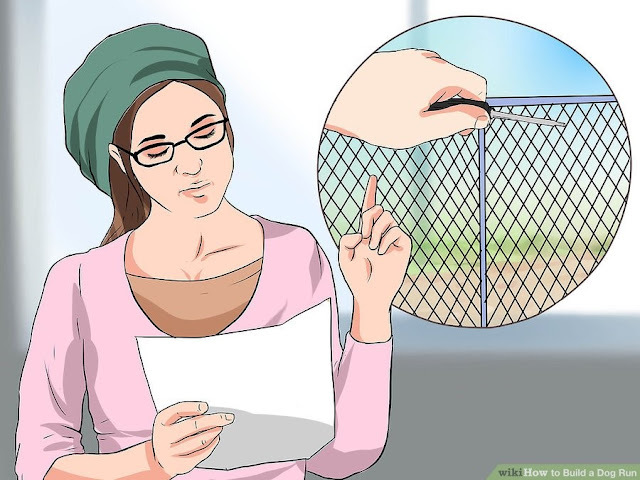 As far as gate is concerned the regular gate can be purchased for a chain link fence, however pay close attention to the latch system selected. 1. The pet owner can buy water bowls that hook up to the hose and will instantly refill when the water level gets low. It is important to provide water to pets at all times. 2. Use tarps to provide shade to your pet. One or two tarps are big enough to run across the dog run.